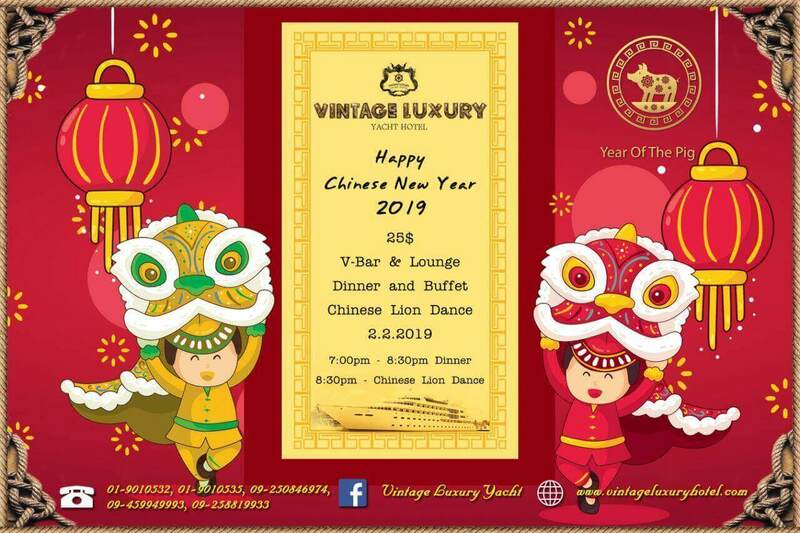 Home » Entertainment » Let’s celebrate Chinese New Year with team of Vintage @ V Bar & Lounge on 2nd February. Be entertained with Chinese traditional Lion Dance and buffet dinner by just paying 25$ per person. So,What are you waiting for ?Come and enjoy your weekend!!! Address :No. 6, Botahtaung Jetty, near Botahtaung Pagoda, Seikkan tsp, Yangon, Myanmar.